Jesska Denise: Sleek Au Naturel Palette. I'm not a huge eyeshadow wearer, which is I why rarely ever fork out for some. I did however purchase the naked palette last year (now that was forking out) and fell completely and utterly in love with the neutrally brown shades. 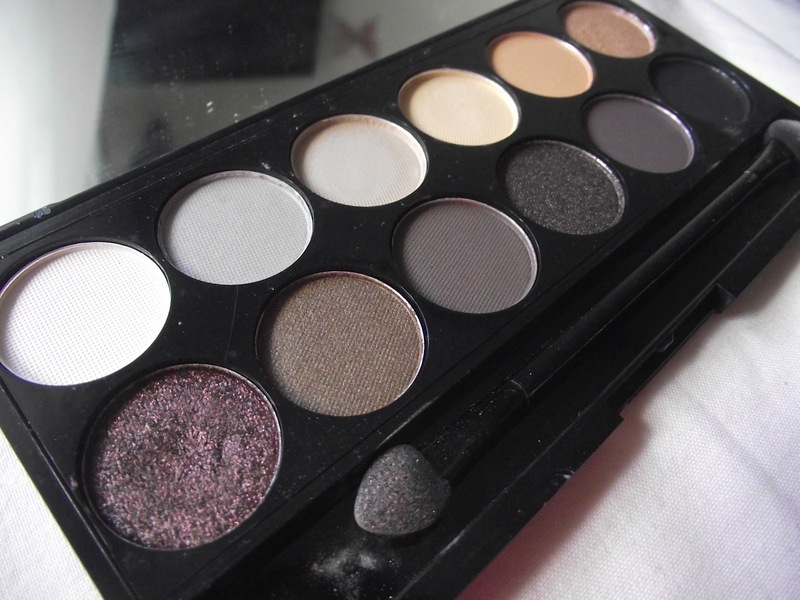 When I was in Superdrug in London (yes another one of my many London purchases) I picked up this sleek 'Au Naturel Palette' as it had so many subtle shades I knew I'd love it. I've gotten quite a lot of use from the palette and I like how even though all the shades are quite muted there is a bit of variation in shades compared to the 'Naked Palette'. 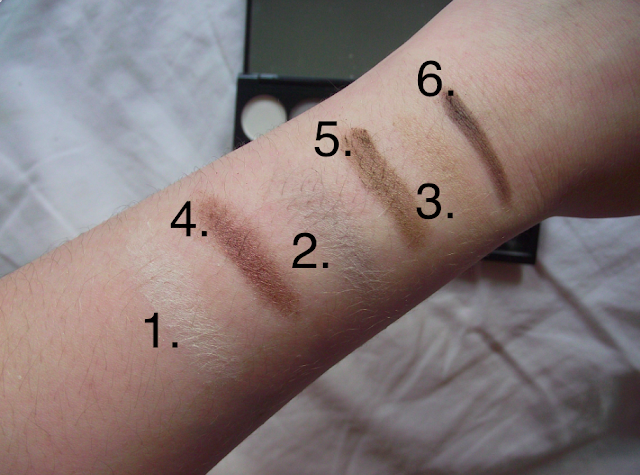 I find the naked palette consists of a lot more brown based shadows where as this one from sleek has a few peaches, pinks and nudes tossed in with more dramatic shades such as 'Noir' and ' Mineral Earth'. 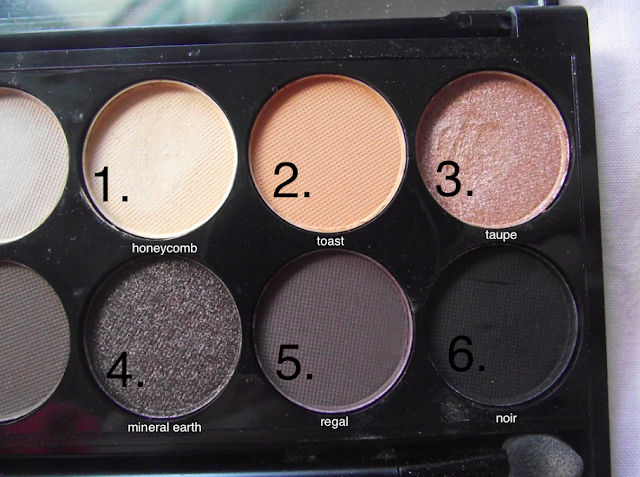 Because of the many shades in this palette I find I can create a lot more looks. There's shades like 'Honeycomb' and 'Taupe' that I love to pair together for the perfect daytime look and 'Conker' which can take you from day to night. There's just so many mixes as all the shades go so well together. I find the eyeshadow is very long lasting with the shimmery shades such as 'Moss' and 'Mineral Earth' being highly pigmented. I was a little disappointed with how unpigmented the lighter matte shades such as 'Nougat' were but I suppose being a high street eye palette this is to be expected. There's minimal fallout from the shades and they blend nicely together. If you're looking for a cheaper alternative to the naked palette I would recommend this considering it's a fraction of the price but there are very little similarities. I wouldn't say its an exact dupe per se. But for less than a tenner you can't really complain. This looks like the sort of palette id get a lot of use out of. 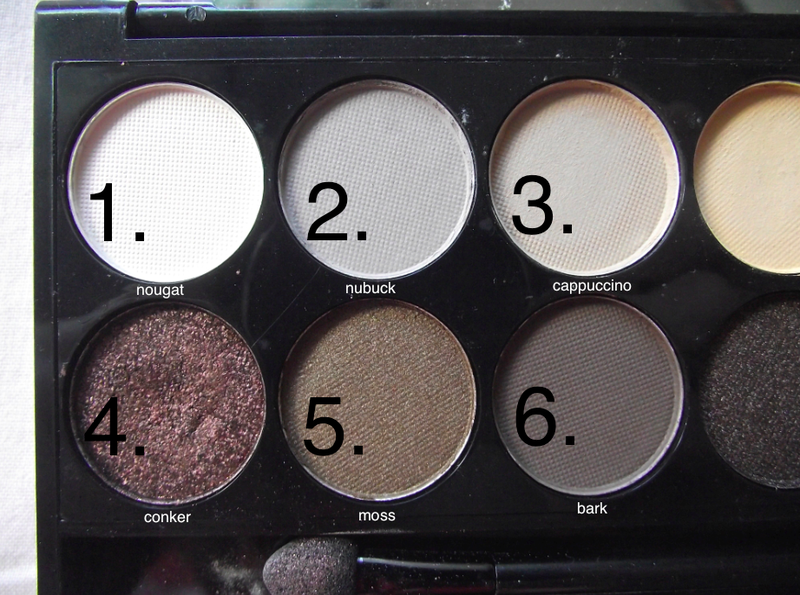 I love quite a neutral eye or a slight smokey one for night. 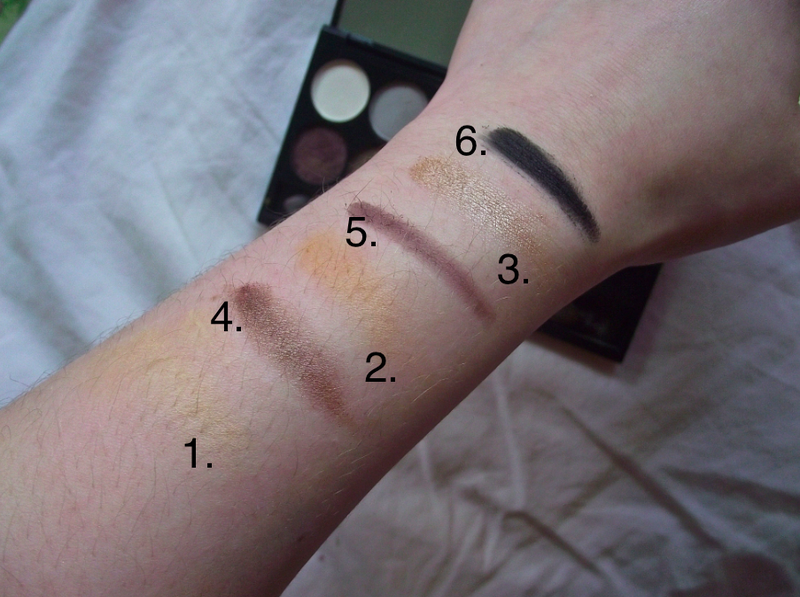 The colours look pigmented & you get a good range of colors. I don't own any sleek palettes yet but I'm looking to buy one, I just can't decide which one as there are a lot of good choices! how much is this? you dont say? I'm still waiting for the day when matte shades will become more pigmented. When I put them on my lids, they pretty much disappear within an hour. The shimmery shades, on the other hand, look gorgeous! Love this palette- these are all the colours I wear on a daily basis! I super love the shades. they all look light and warm. Putting on these kinds of shades will bring out my natural beauty. It is also perfect for everyday wear. This is such a gorgeous palette, I really love the shade 'Conker' and I like that there are some matte shades in there too. I've actually yet to try anything by Sleek, might pop this on my Christmas list.